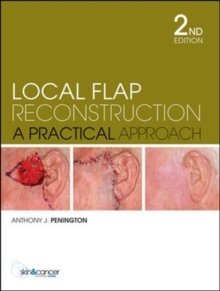 Local Flap Reconstruction: A Practical Approach 2nd Edition consists of 78 photographic case studies illustrating the techniques of local flap repair for the reconstruction of skin defects. From basic explanation of the principles of reconstructive surgery to some of the more advanced and recent procedural skills, like island flaps, the book covers all aspects of flap surgery in a concise and visual manner. Over 400 colour photographs take the reader through individual case studies in the pre, intra and post operative stages of flap reconstructive surgery.